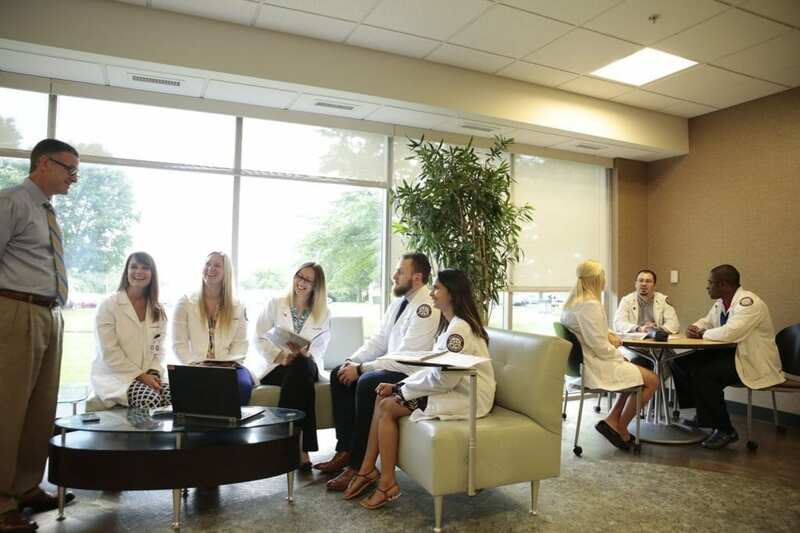 At South College, our Doctor of Pharmacy program is designed to optimize your time spent in the classroom and lab, allowing you to complete your PharmD in 3 years instead of the traditional 4—the only accelerated Doctor of Pharmacy program in Tennessee. In this program, you’ll benefit from the instruction of experienced and passionate nationally-acclaimed faculty as you gain new skills and get hands-on experience. You’ll build on your foundational scientific knowledge in pharmaceutical studies, applying what you’ve learned to doctorate-level projects in our state-of-the-art laboratories and during clinical rotations overseen by professional Knoxville pharmacists. What can I do with a Doctor of Pharmacy? The curriculum for the Doctor of Pharmacy program is demanding and extensive. Students must have excellent critical thinking, chemistry, and math skills. Strong study habits and time-management skills are also vital, as the advanced instruction will require you to apply your knowledge of pharmacology, biochemistry, medicine, and pathophysiology to real-world clinical situations. The faculty for this program have years of experience in the industry. They are dedicated to helping you attain your academic and career goals, in addition to preparing you to successfully meet your obligations as a pharmacist. Small class sizes allow for more personalized attention and close collaboration with fellow students, and the Writing Lab and Math Lab are available for help with core skills. High school students who are motivated to become qualified pharmacists can take advantage of the South College Pharmacy Early Assurance Readiness Program, or SPEAR. During the course of this 5 year program, committed students earn their Associate of Science in Health Science (PrePharmacy), Bachelor of Science in Pharmaceutical Science, and Doctor of Pharmacy. The Doctor of Pharmacy is the highest degree offered by South College in this field.